Our Yacon Syrup is available to ship. If you’re an Amazon Prime member, get it in 2 days with no additional cost for shipping! Daily intake of Yacon Syrup produced a significant decrease in body weight, waist circumference and body mass index (BMI), according to a 2009 scientific study published in Clinical Nutrition. It is low glycemic, low carb and low in calories (13 calories per serving), Yacon Syrup is truly a gift from nature. There are no artificial flavors, preservatives or binders added. Yacon Syrup originates from the Yacon plant (pronounced yah-KON) of the Andes Mountains in Peru and has been part of the Andean diet for hundreds of years. The yacon juices are extracted from the roots of the yacon plant, then filtered and evaporated in a process very similar to the way Maple syrup is made. The Yacon plant looks similiar to a sweet potato. Here, the yacon plant is pictured in its original form before being distilled into syrup for consumption. Obese and slightly dyslipidemic pre-menopausal women were studied over a 120-day period in a double-blind placebo-controlled experiment. Two doses of yacon syrup were used, 0.29g and 0.14g fructooligosaccharides/kg/day. At the start and end of the study, anthropometric measurements, blood glucose, calcium, lipid and insulin concentrations and Homeostasis Model Assessment index were determined. The recommended daily consumption of yacon syrup with no undesirable gastrointestinal effects is 0.14g fructooligosaccharides/kg. Daily intake of yacon syrup produced a significant decrease in body weight, waist circumference and body mass index over the 120 day period. 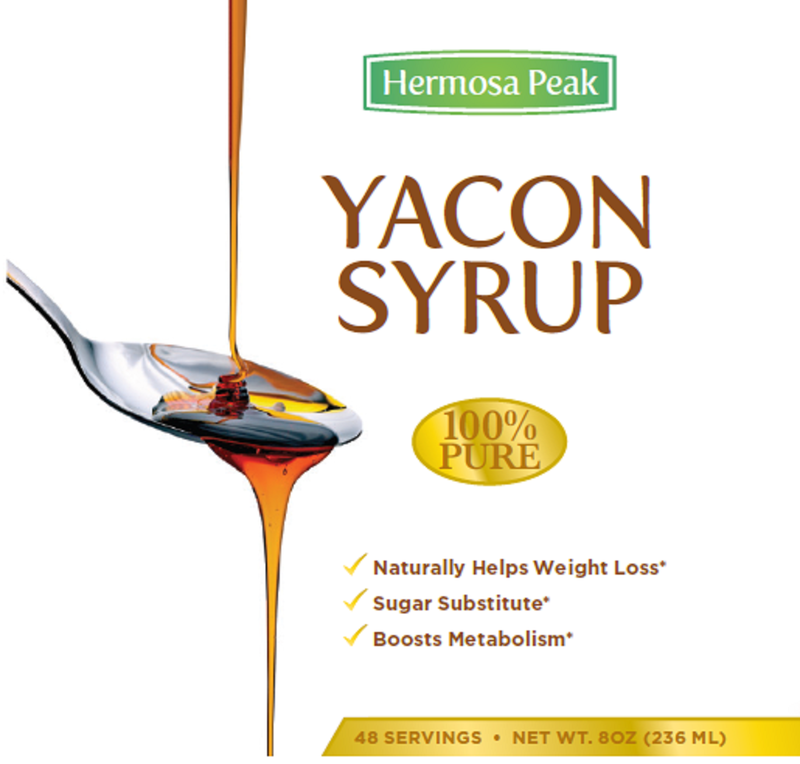 Yacon syrup is a good source of fructooligosaccharides and its long-term consumption produced beneficial health effects on obese pre-menopausal women with insulin resistance. Skip the calories and carbohydrates by replacing your sugar consumption with Yacon Syrup. Replace sugar with Yacon Syrup while baking things like cookies, cakes, pies, cobblers, brownies—you name it! 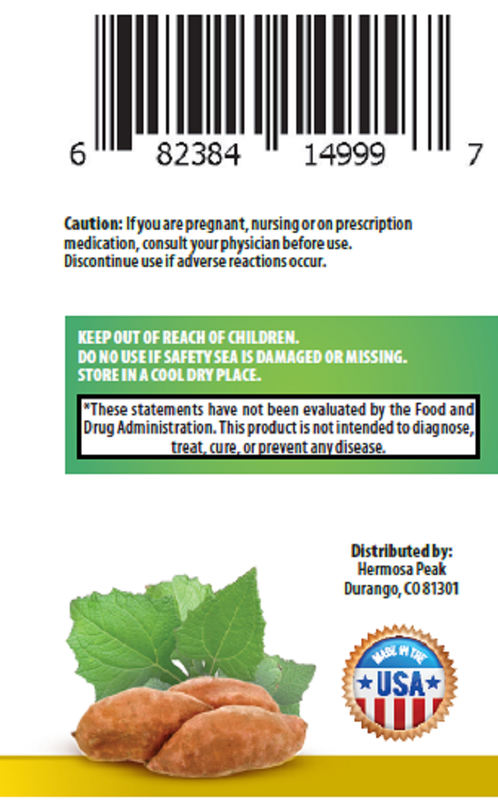 Replace sugar or honey with Hermosa Peak Yacon Syrup in salad dressings, marinades and bbq sauces. Use in place of your regular syrup on pancakes and waffles. Like Agave, it’s great with coffee or tea. Take one teaspoon before each meal, three times per day. that above list, you’d be doing yourself a tremendous service. have healthier cells and anti inflammatory element. This does warrant a problem though for diabetics though. Yacon is ideal for minimal-calorie, very low-sugar, detoxification, and pounds-decline diet plans. Daily dietary habits can be your personal demise or nirvana. which is actually something good for you. Another advantage of the syrup is that it may help you lose weight. soya lecithin, barley malt powder, vanilla and caramel flavoring, etc Lindt makes its assorted Lindor Truffles. Most of these are available at any health food store. 2 cups chopped 4 cloves garlic, minced 3 stalks celery, chopped 2 TBS golden flax finely ground in coffee grinder Pinch crystal salt. The FOS in yacon also has other benefits in keeping weight down. The item is entirely organic and secure and does not include glucose, calories or fat. has been a rising interest since finding out the health benefits of this root. Because of its high FOS content, it may curb one’s appetite without filling the body with a lot of calories. The baker also rolls the cookies in vegan cane sugar just before baking them, but you can omit that option if you choose. You will still have to eat a healthy diet and exercise if you want to lose excess weight. That is how we decided on our company motto – Improving Quality Of Life. digested, which is why it is so low in actual calories. the ingredients and nutritional facts, I was very happy to read Shakeology. By comparison, eight ounces of yacon syrup is about $20. But Keri agrees that there are “fiber benefits of yacon syrup. As a result, yacon syrup controls your hunger and curbs cravings. syrup is that it may help you lose weight. In case you can not locate something, start off your individual forum thread. These sugar substitutes are also called ‘free foods’ as they are less in carbohydrates and calories. nourishes the tissues in a natural way.